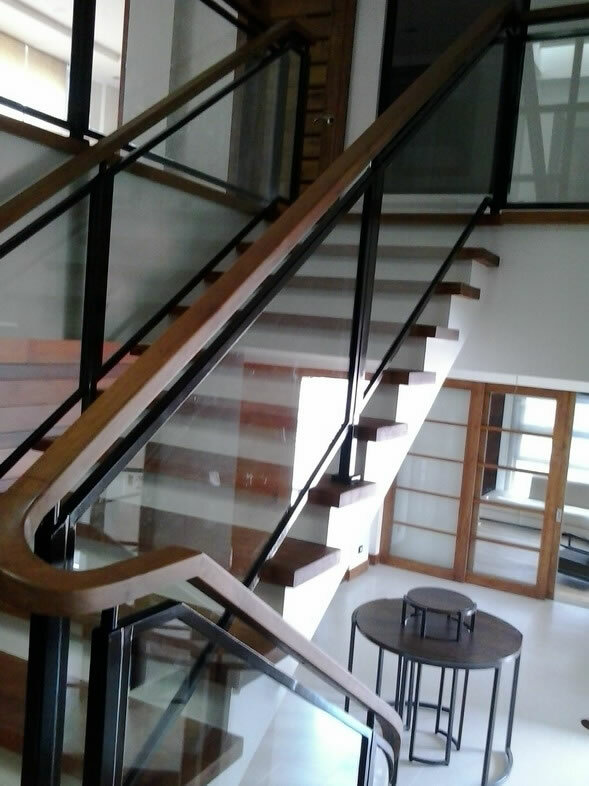 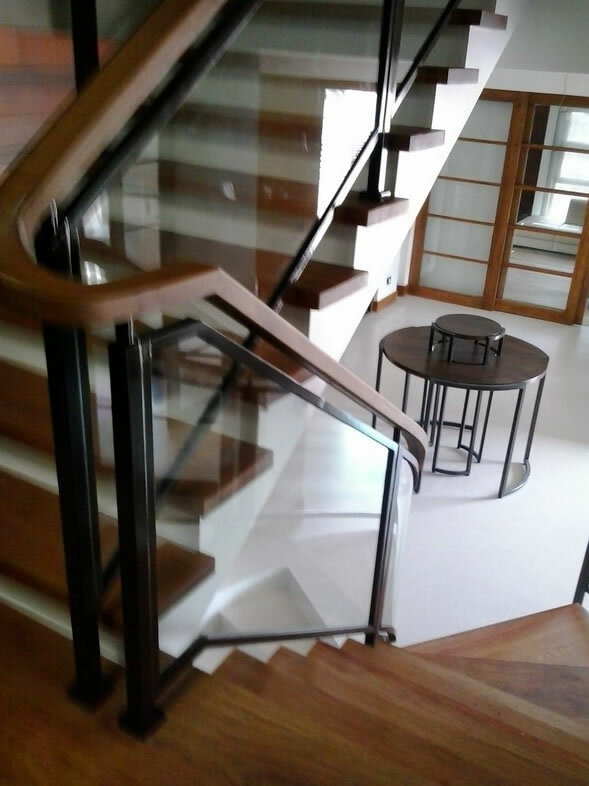 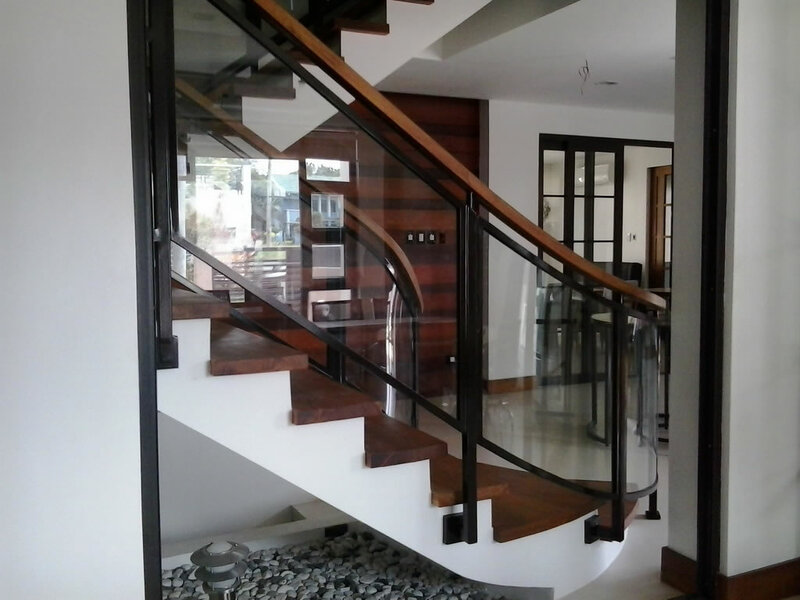 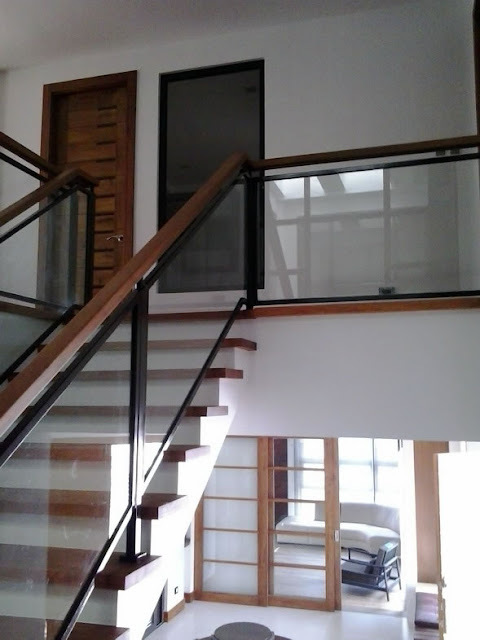 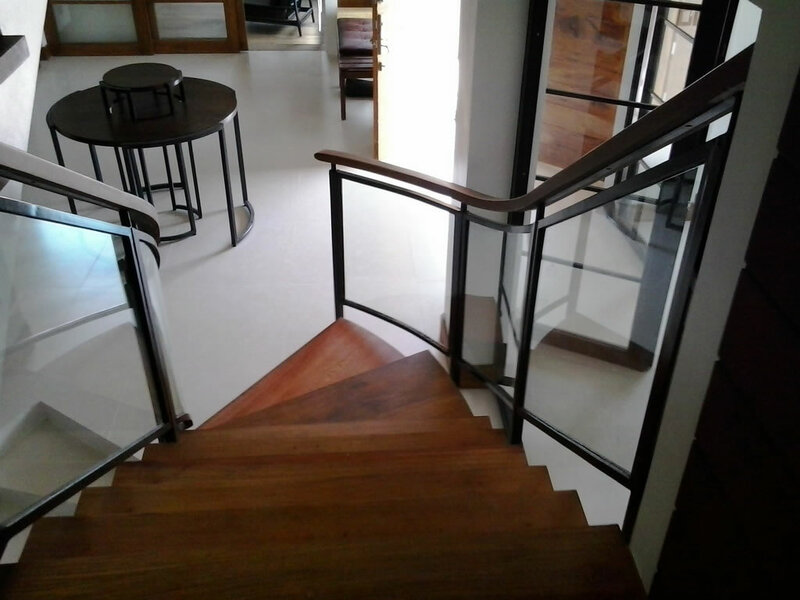 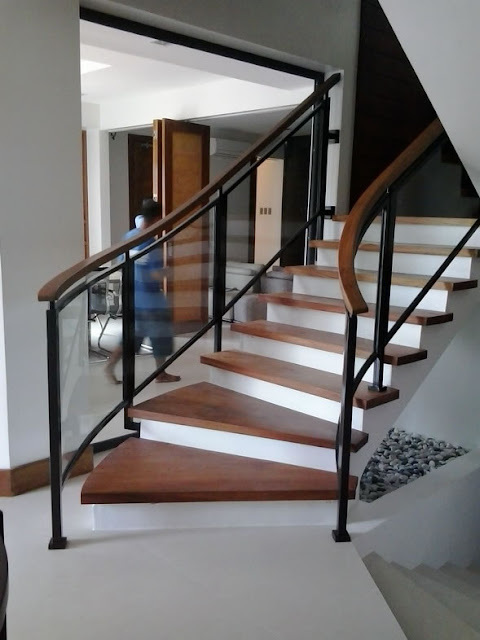 This project is one of our Glass Stair project that has curved glass and not an easy job because has a lot of process before glass done first we need to create a exact patter for the glass the bend or radius the height and width of the glass. 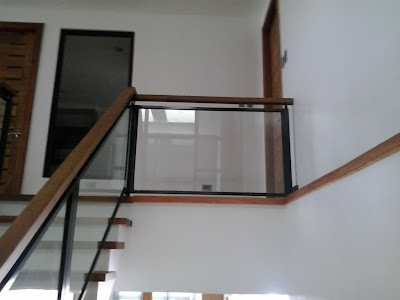 As you notice the design is has to have a frame for every glass panel, and by this design there is no way to insert the glass if the frame is already done so what we deed is the other side of the frame is disassembled and only screwed after the glass is inserted. 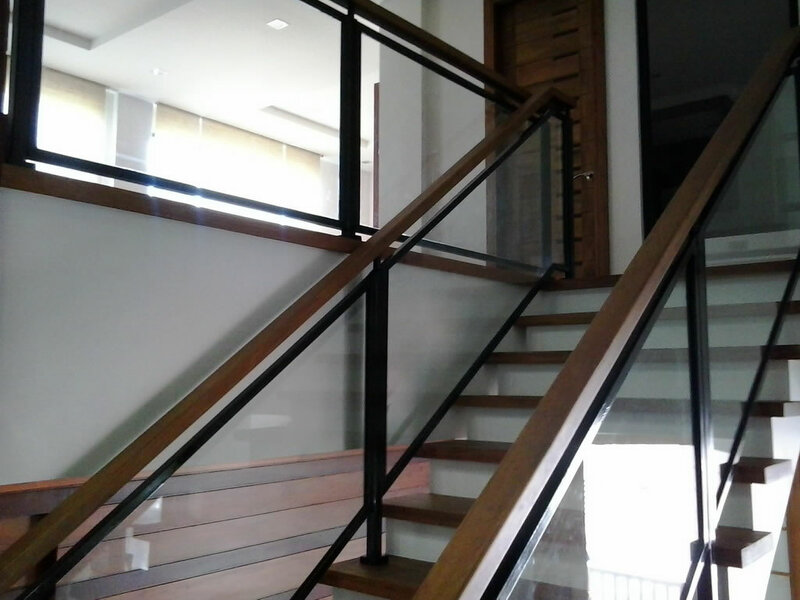 We used 10mm clear tempered glass and wrought iron frames.